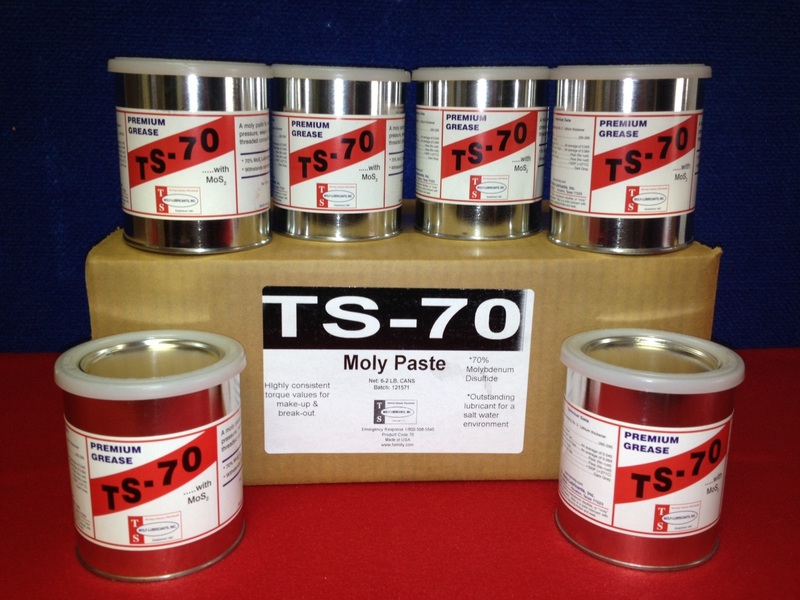 TS-70 is a general purpose moly paste with many uses. It has proven to be an outstanding lubricant for a saltwater environment, above and below the surface: subsea riser, BOP, flange equipment and structural bolts. Other applications are components for press fittings, threads in tapping, boundary lubricating of parts in assembly and make-up, bushings of heavily loaded slow moving bearings, and many more. Apply by brushing or burnishing. TS-70, with 70% by weight of molybdenum disulfide, provides uniform and durable boundary lubrication under extreme pressure, in wet or corrosive environments, and over a wide temperature range. Its coefficient of friction nearly approaches that of pure MoS2, and superior wear protection is assured. TS-70 does not contain metals.